Browse summaries of archaeological fieldwork for each Archive site. Explore site plans and stratigraphic diagrams. 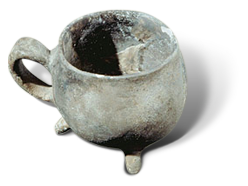 Query the DAACS database for information on artifacts and their contexts. Download the results for further analysis. Learn more about the DAACS database and how to make the most of your query. Check out recent conference papers and reports that use DAACS data. Find out more about the goals and organization of the DAACS project.